Surgery for Mesothelioma After Radiation Therapy (SMART) is a multimodal approach that may change how pleural mesothelioma is treated. Study after study has shown that combining chemotherapy or radiation therapy with surgery has a profound effect on the life expectancy of patients with mesothelioma. Most of these multimodal approaches, however, apply chemo or radiation after surgery. SMART is simply switching this order, but the results might change how mesothelioma is treated. 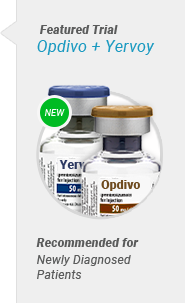 While further research needs to conducted, doctors in a study of SMART concluded that the procedure “may represent a potential breakthrough for patients” who are candidates for a radical EPP. The main benefit is that it seems patients undergoing SMART are living much longer. Patients with an epithelioid cell type have lived over 3 years longer after this procedure. To determine the feasibility of SMART as a standard treatment, more clinical trials must be conducted. This could be beneficial to patients with limited treatment options, such as late stage patients. Find clinical trials that you may be eligible for today. 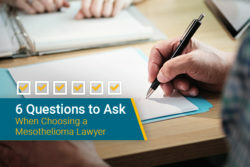 The SMART approach has challenged the way doctors treat mesothelioma with a simple reversal of a two-step process. Traditionally, doctors have administered chemotherapy or radiation therapy after surgery. 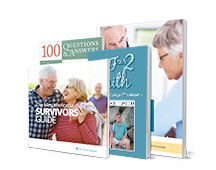 The SMART approach is explained in a straightforward way through its name—having surgery after radiation therapy. Patients are first given a high dose of IMRT, which is a type of radiation that can administer different levels of radiation simultaneously. In the SMART approach, the levels of radiation are much higher than normally given. Higher doses are feasible because the irradiated lung is removed soon after. Approximately 6 days after being treated with IMRT, patients are admitted for an EPP. This surgery removes the affected lung and surrounding tissue affected by mesothelioma tumors. The EPP has demonstrated remarkable results in other approaches as well. Further studies of the SMART approach are also likely to include lung-sparing pleurectomies for some patients. One of the main issues with treating mesothelioma surgically is the difficulty in removing the full extent of the disease. 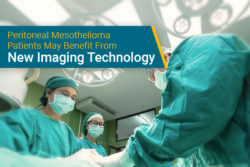 Microscopic mesothelioma cells often remain even when all visible tumors are removed. The traditional solution to this problem is to eradicate what was left over after surgery with radiation or chemotherapy. However, treating the patient days before surgery hasn’t been the common practice. The reason SMART has been successful is because giving radiation before surgery confines much of the disease to the tumor and lung. Microscopic mesothelioma cells throughout the chest cavity are mostly killed. Furthermore, much higher doses of radiation are able to be applied because the lung containing the majority of the radiation is removed before radiation can spread further through the body. Radiation given after surgery, when the patient is trying to recover, is much harder on the patient. It’s well known that a patient can live much longer when treated with a combination of therapies. For example, the addition of heated intraoperative chemotherapy after cytoreductive surgeries revolutionized the treatment of peritoneal mesothelioma. Patients undergoing this approach are now living years past their prognosis. Although further research is needed, the SMART approach may revolutionize the treatment of pleural mesothelioma in a similar manner. A study published in The Journal of Thoracic Oncology in January 2014 revealed astonishing results. The SMART study enrolled 25 patients, all of whom had late stage mesothelioma. The average survival time for late stage pleural mesothelioma patients is anywhere from 4 to 12 months. 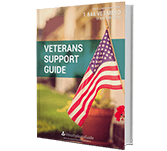 Yet, the results presented in this study showed a remarkable 84% survival rate after 3 years. In comparison, a study conducted in 2007 of 21 patients who had an EPP followed by radiation produced an overall 33% 3-year survival rate. While the SMART study showed promising results for patients with an epithelioid type, those with a biphasic cell type did not fare so well. Late stage biphasic mesothelioma, however, carries the worst prognosis. 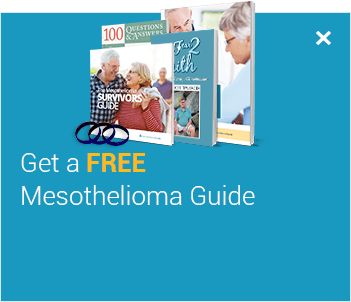 The 3-year survival rate for these patients was approximately equivalent to the average 3-year survival rate for all mesothelioma subtypes, slightly over 10%. How Can Patients Get Involved In These Studies? 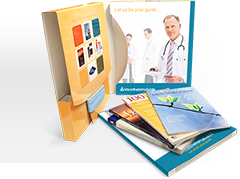 The main way patients can get involved in studies like this is through clinical trials. Clinical trials are used to test emerging treatments and therapies that aren’t available to all patients. These trials are especially advantageous for late stage mesothelioma patients who are limited in their treatment options. Get connected to top recruiting clinical trials today to expand your treatment options. A Feasibility Study Evaluating Surgery for Mesothelioma After Radiation Therapy “SMART” Approach for Resectable Malignant Pleural Mesothelioma. American Thoracic Society. Retrieved from: http://www.thoracic.org/assemblies/thoracic-oncology/resources/JTO-SMART-2014-article-from-Peikert-2014.pdf. Accessed: 12/13/18. 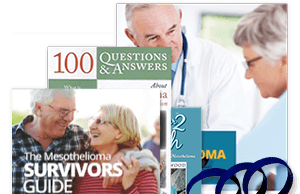 SEER Cancer Statistics Review - Mesothelioma. National Cancer Institute. Retrieved from: http://seer.cancer.gov/archive/csr/1975_2010/results_merged/sect_17_mesothelioma.pdf. Accessed: 12/13/18. Induction chemotherapy, extrapleural pneumonectomy (EPP) and adjuvant hemi-thoracic radiation in malignant pleural mesothelioma (MPM): Feasibility and results. Lung Cancer Journal. Retrieved from: http://www.lungcancerjournal.info/article/S0169-5002%2807%2900113-4/abstract. Accessed: 12/13/18. Last Edited: December 13, 2018.